Retail analytics software provides retailers with an in-depth look into all aspects of their business. Retailers can use insights from business data to see which parts of their business are succeeding and which are failing, and how to make improvements. Managers and owners can feed data from other software tools into a retail analytics solution to see how the business is performing, often in real time. Using these insights, retailers can determine which items are selling well, when items sell most, and which demographics purchase which items. Retail analytics software may integrate with retail POS software, retail management systems, and retail operations software. Retail Analytics reviews by real, verified users. Find unbiased ratings on user satisfaction, features, and price based on the most reviews available anywhere. The re-currency platform captures outcomes at the point-of-sale with precision detail, analyzes that data to execute strategies to increase revenue, and motivates consumers and employees to grow your business. 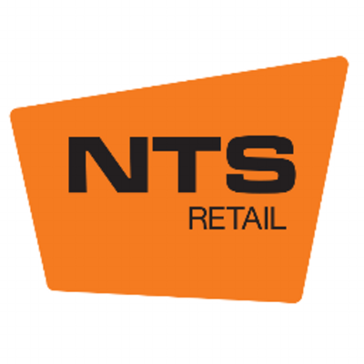 NTS Retail is a multifunctional management system that can be used on any device to keep the link between your company and your customers. 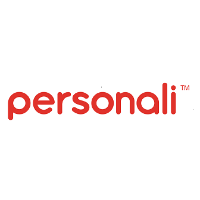 Personali is an artificial intelligence platform for retail. Affinity Solutions provides the intelligence to identify, reach, and influence likely buyers in real-time. Alloy is the modern analytics and planning software solution for consumer-driven brands. The purpose-built platform enables consumer goods companies to evaluate, predict, and respond to true demand with agility and efficiency. With Alloy, brands can analyze sales and inventory at both macro and micro levels, down to the individual store and SKU, to accelerate insights, drive future growth, and optimize the supply chain. A breadth of customers have benefited from the end-to-end insight into their business, ranging from Fortune 100 enterprises to fast-growing startups like eero, Walker & Company, and Soludos. Blosm does the heavy lifting of gathering, cleaning & filing Product & Pricing Data in ways that scrapers, crawlers and scripts can't imitate. Trusted by leading Brands, Retailers, Distributors and eCommerce teams, Blosm is an automated data collection tool that integrates with leading PIM, ERP and eCommerce platforms. PRODUCT ENRICHMENT: Enhance your current product data, and on-board new product content at scale. BRAND AUDITING & MAP: Know that sellers are using - and consumers are seeing - your exact, desired pricing & product representation. COMPETITIVE INTELLIGENCE: Monitor how your competitors are presenting products across all markets for automated competitor analysis and dynamic pricing. Blueday’s Store Performance Solution helps retailers win. A groundbreaking system to drive in-store results, Blueday helps retail teams enhance in-store experiences while increasing same-store sales. Develops and provides customizable web-based business solutions for both retailers and suppliers of any size across all shopping channels and product segments. DemandLink delivers the business information needed to make smarter decisions toward better improved business performance and customer satisfaction. All-in-one category management software platform enables the automation of data-driven product layouts, localised assortment plans, advanced retail analytics, two-way data integrations and more. Genie is an AI-powered recommendation engine empowering retail marketers to target customers with contextually relevant messages. With Capillary Insights+ get deep understanding and insights into your consumer's behaviour and preferences. Start personalizing your campaigns & communications with AI-Powered Retail Analytics. Intelocate helps companies and employees in multi-location environments solve the age-old problem of not having enough time in a day to get everything DONE. By providing one home for operations management, communication, business analytics and insight, Intelocate helps companies keep up with the flexible nature of the modern workforce, while providing meaningful ROI and increased engagement.Today, Intelocate operates internationally providing a cloud-based technology that breaks down operational silos between organizations, departments, service providers and locations. Transform your every day data into actionable insights to increase your parts sales within a single, robust business intelligence platform – LinkIQ℠. MakerSights provides product development softwares for consumer brands. PriceTrack is a pricing optimization software that captures pricing information from practically any website consumers use to shop, and delivers it to the user on demand. Prescriptive Analytics Suite is a predictive analytics software that was designed for retail and CPG that turns data into action. Quri offers solutions to increase in-store visibility and merchandising execution solution. Translates into better customer relationship management, higher customer success rates and deeper customer insights. Actionable data insights from the AI and the POS translates into optimized marketing offers and campaign automation via CAMPAIGNS and last-minute scheduling solutions and reservations via AUTO FILL feature. SetSight enhances your current sales, category management, and supply chain teams. At SMI, we deliver Retail IoT solutions that transform bricks and mortar into a hyper-relevant and seamless omni channel world. We help retailers realize gains in a connected environment, from supply chain to merchandising and marketing. Shelfera provides retail brands with insights using point of sale data to navigate market growth & drive sales. 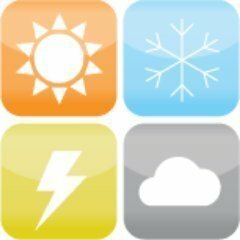 Monitor and forecast store performance, sales, and inventory levels by SKU down to a store level. Our analytical expertise provides your business with the ability to not just mine data, but to turn it into results. Shopping is not what it used to be, todays shoppers are equipped with more information than ever. Analyze trends to find areas for growth and prepare for a better tomorrow. ShopperTrak offers analytics solution to retailers, malls and entertainment venues to help them better understand consumer behavior. Equipped with SPS Commerce Analytics, you can easily collect all your disparate retail data sources (POS, Sell-through, Big Data, Inventory, etc.) and put it into a consistent, cloud-based format that provides the insights you need and care about. Armed with the right data, your retail business could easily: •	Transform sales and inventory data into actionable insights •	Match supply with consumer demands •	Reduce stock outs and markdowns •	Make preseason planning a breeze SPS Commerce Analytics provides the insight needed in today’s digital retail environment that allow: •	Retailers to connect their sales, inventory and supply chain data with best practice analytics to make nimble decisions with vendors that align with consumer’s changing demands. •	Suppliers to access the industry’s largest network of data sharing retailers, allowing them to have instant insight into changes in the market and better compete in this dynamic retail market. TR3 Solutions offers cloud-based retail analytics solution. Hi there! Can I help you find the best Retail Analytics solutions?